This item (P13775) is not currently available for purchase. Illuminate your holiday display in a glow of green light. Magnificent balls of light are easy to display both indoors and out! 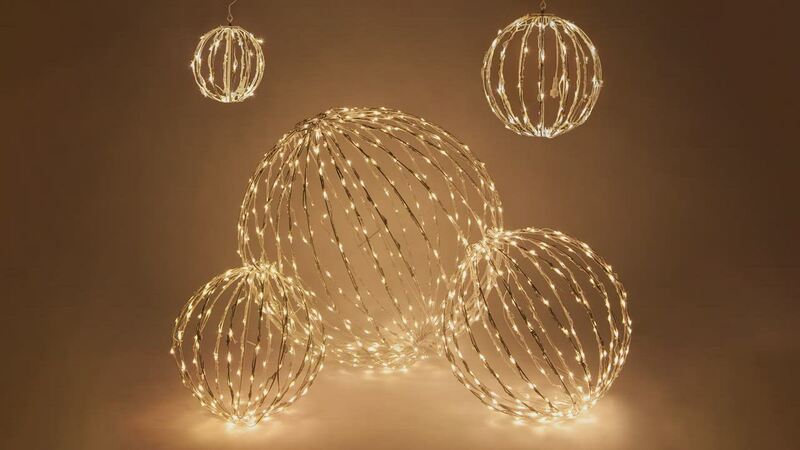 Intricately lighted balls shimmer with durable LED lights designed to last. Chip proof, fade proof and weather resistant lighting creates a durable product that can be used again and again. Each sphere folds up for easy storage and simple installation. Create a professional looking light display this year by mix and matching lighted Christmas balls!